Deal: Grab two Amazon Echo speakers for just $99.98! Amazon Alexa and smart speakers powered by it have taken over millions of households over the world in a matter of just a few years. There's no shortage of devices on the market, both "traditional" speakers and more recently smart displays, that come with Amazon's AI assistant built-in. Depending on how much you are willing to fork out, and what features you need, there's a lot to choose from. That said, as more and more households are getting equipped with two, three, or more AI devices, "plain" speakers remain the most affordable way to get multiple rooms in your home connected. 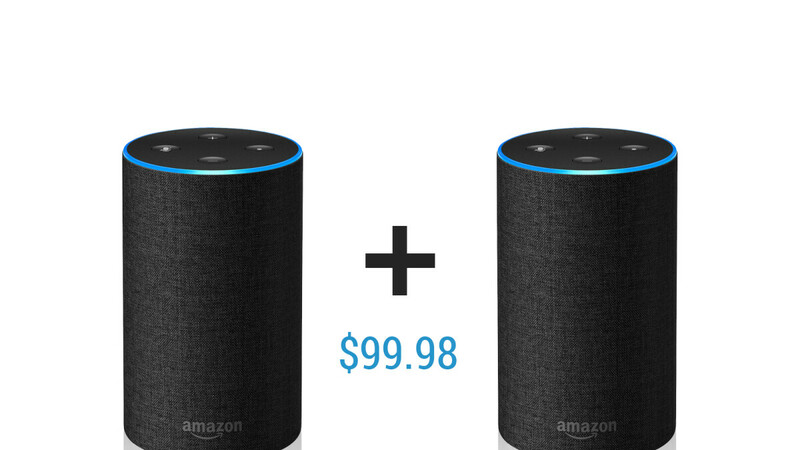 And if you're looking to do just that, this latest deal from QVC has two 2nd-gen Amazon Echo speakers with Alexa on offer for just $99.98! The 2nd generation Amazon Echo is usually $99.99 on Amazon, so you are effectively getting two for the price of one with this deal. Furthermore, new customers can use promo code TEN4U on check-out to slash another $10 off the price of the 2-Pack. This amounts to $45 for an Amazon Echo (without the coupon), and with free shipping.